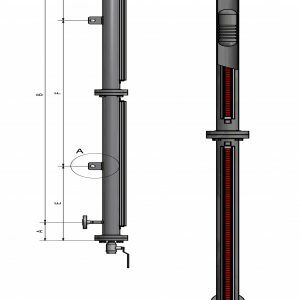 Glass Tube Level indicator for installation on condensation tanks, reservoirs, fire sprinkler tanks, water supply tanks etc. 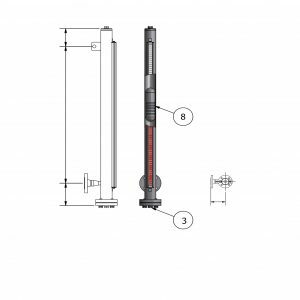 Glass tube indicators for installation on condensation tanks, reservoirs, fire sprinkler tanks, water supply tanks. 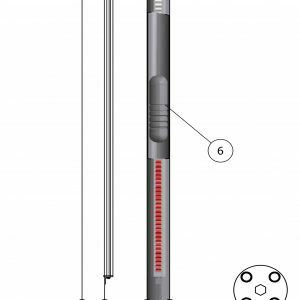 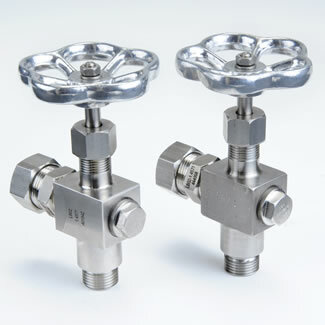 The level gauge may be equipped with automatic closing ball, which closes the valve in case of glass breakage. 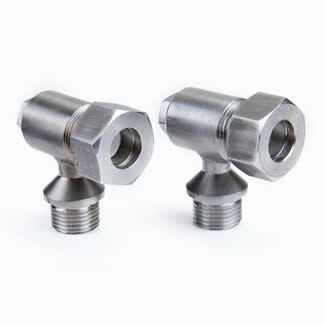 Advantages include: visibility of liquid from all angles with an operating temperature of 200°C and 25 bar operating pressure.